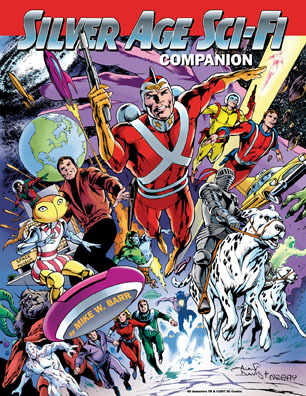 If you’re feverishly waiting for your copy of Mike W. Barr’s Silver Age Sci-Fi Companion (and why wouldn’t you be? It’s an awesome book! ), don’t give up hope! It was supposed to be shipping by now, but DC Comics’ legal department requested some changes, and we’re in the process of wrapping those up, and hope to have it to press, and in stores, within another 4-6 weeks. Please be patient; it’ll be worth the wait!